We’re determined to keep Christmas simple this year at our house. If you read this post I wrote last week you know of our plan to get the kids more involved in the gift giving and give Santa a ‘break’ this year. 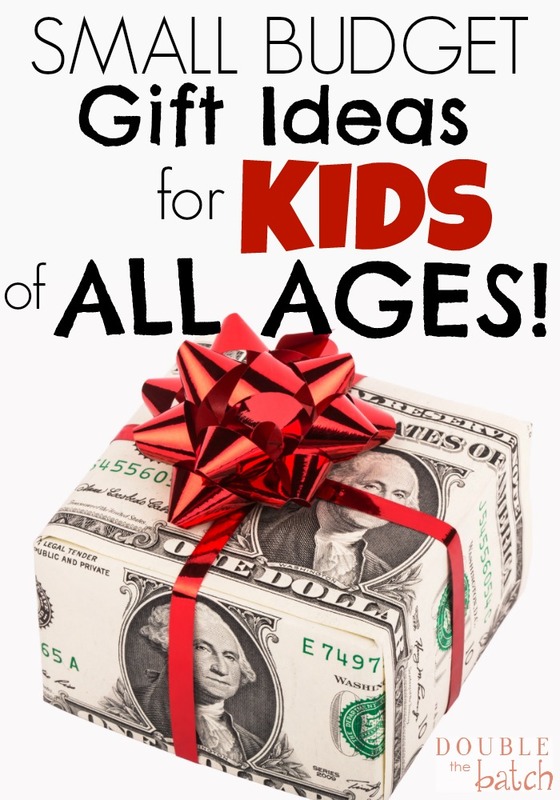 Because our kids are doing most of the shopping for each other, we’ve been on the look out for simple, small budget gift ideas for kids. When I say “small budget” I don’t mean toys that break the next day. We’ve had enough of those over the years! I’ve been determined to find the best quality for the lowest possible cost. I’m also going to share the gifts we have bought in the past that have been a success. Because we have a wide range of ages at our house (2-11) I’ll do my best to share ideas for kids of all ages. Here we go!